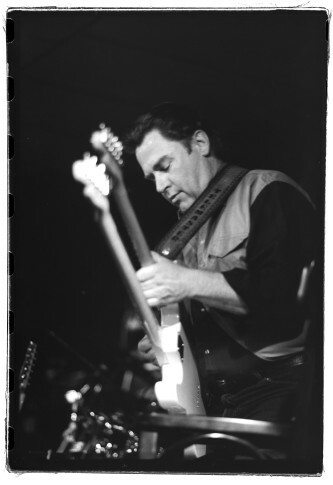 An upcoming documentary -- "Anacostia Delta" -- tells the story of legendary D.C. guitarist Danny Gatton. WASHINGTON — His nickname was “The Humbler,” because that’s what Danny Gatton did to any guitarist who tried to match him lick-for-lick. Gatton, who committed suicide in 1994, said his blend of rock, jazz, blues, rockabilly, country and soul came from the Anacostia Delta — the title of an in-the-works documentary about Gatton’s music and its impact. Based in Prince George’s County during the late 1970s and ’80s, Gatton and his bandmates honed what became an iconic musical style. Gatton’s instrumental-based sound had similarities to another rootsy D.C. musician — Roy Buchanan. Rolling Stone listed both Gatton and Buchanan on its Top 100 Guitar Players of All Time. Yet, Danny Gatton’s wealth of skills never made him a rich man. “I think there was a definite sense of frustration about his lack of financial success, throughout much of his career,” says Avis. Gatton didn’t care for traveling outside of the D.C. area, says Avis. After releasing many records on a label created by his mother, Gatton got a national record deal with Elecktra Records. With promotion, Gatton’s visibility increased around the country and overseas. In October 1994, Gatton locked himself in his garage on his farm in Newburg, Maryland, and shot himself. Avis says the new documentary is told firsthand by musicians who played with Gatton, many of whom are still playing in the D.C. area. “There’s going to be a show at The Birchmere, featuring 30-plus of the musicians who played with Danny, bringing together his various bands over the years,” says Avis. The sold-out Sept. 26 concert, featuring performers including Gatton’s longtime bass player, John Previti, and Billy Hancock, Dave Chappell, Dave Elliott and Tom Principato will be filmed and recorded for the documentary. Gatton’s music has influenced so many musicians who are anxious to tell their stories of him that Avis expects editing the film will be a challenge. AD Teaser Vid from Bryan Reichhardt on Vimeo. Editor’s Note: This story has been updated to reflect changes to Ken Avis’ title and the company with which Danny Gatton had a record deal.